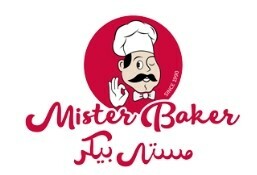 Mister Baker is currently closed for delivery and it will open at 09:00 AM tomorrow . This extra moist sponge lavished with delicate ganache, is the world's favorite Belgian chocolate. ***ALL ORDERS REQUIRES 24HR NOTICE. NO SAME DAY DELIVERY. ALL ORDERS WILL BE DELIVERED NEXT DAY! Yield to your sweet cravings with this traditional fudge, made perfect for our signature moist chocolate sponge. ***ALL ORDERS REQUIRES 24HR NOTICE. NO SAME DAY DELIVERY. ALL ORDERS WILL BE DELIVERED NEXT DAY! Heighten your indulgence with this rich, dark chocolate sponge cake filled with premium ganache. ***ALL ORDERS REQUIRES 24HR NOTICE. NO SAME DAY DELIVERY. ALL ORDERS WILL BE DELIVERED NEXT DAY! The irresistible dark chocolate ganache makes this three-layer chocolate sponge loved by many. ***ALL ORDERS REQUIRES 24HR NOTICE. NO SAME DAY DELIVERY. ALL ORDERS WILL BE DELIVERED NEXT DAY! A traditional red velvet sponge filled with strawberry mousse & tiramisu & crowned with almond biscuit. ***ALL ORDERS REQUIRES 24HR NOTICE. NO SAME DAY DELIVERY. ALL ORDERS WILL BE DELIVERED NEXT DAY! Sweet honey cake made of soft textured sponge layered in cream filling. ***ALL ORDERS REQUIRES 24HR NOTICE. NO SAME DAY DELIVERY. ALL ORDERS WILL BE DELIVERED NEXT DAY! Coffee, fresh cream & dark chocolate ganache, all three in a sinful chocolate sponge. ***ALL ORDERS REQUIRES 24HR NOTICE. NO SAME DAY DELIVERY. ALL ORDERS WILL BE DELIVERED NEXT DAY! These fruits are nature’s candy… made more enticing on a vanilla sponge cake filled with fresh cream. ***ALL ORDERS REQUIRES 24HR NOTICE. NO SAME DAY DELIVERY. ALL ORDERS WILL BE DELIVERED NEXT DAY! Fall in love with the fresh strawberries on a fresh cream layered vanilla sponge cake. Simple yet so healthy! ***ALL ORDERS REQUIRES 24HR NOTICE. NO SAME DAY DELIVERY. ALL ORDERS WILL BE DELIVERED NEXT DAY! A fresh cream filled chocolate sponge cake loaded with black cherries & dark chocolate flakes. ***ALL ORDERS REQUIRES 24HR NOTICE. NO SAME DAY DELIVERY. ALL ORDERS WILL BE DELIVERED NEXT DAY! It is all about caramel & fresh cream in a vanilla sponge cake! ***ALL ORDERS REQUIRES 24HR NOTICE. NO SAME DAY DELIVERY. ALL ORDERS WILL BE DELIVERED NEXT DAY! ***ALL ORDERS REQUIRES 24HR NOTICE. NO SAME DAY DELIVERY. ALL ORDERS WILL BE DELIVERED NEXT DAY! The strawberry flavor & fresh cream dominate the entire vanilla sponge cake. ***ALL ORDERS REQUIRES 24HR NOTICE. NO SAME DAY DELIVERY. ALL ORDERS WILL BE DELIVERED NEXT DAY! Rainbow sponge with fresh cream filling ***ALL ORDERS REQUIRES 24HR NOTICE. NO SAME DAY DELIVERY. ALL ORDERS WILL BE DELIVERED NEXT DAY! Also known as fridge cheese cake, set cream cheese on a biscuit base smothered with raspberry glaze***ALL ORDERS REQUIRES 24HR NOTICE. NO SAME DAY DELIVERY. ALL ORDERS WILL BE DELIVERED NEXT DAY! Also known as fridge cheese cake, set cream cheese on a biscuit base smothered with blueberry glaze ***ALL ORDERS REQUIRES 24HR NOTICE. NO SAME DAY DELIVERY. ALL ORDERS WILL BE DELIVERED NEXT DAY! Layers of thin sponge cake & mascarpone cheese dabbed with coffee syrup & dusted with cocoa powder. ***ALL ORDERS REQUIRES 24HR NOTICE. NO SAME DAY DELIVERY. ALL ORDERS WILL BE DELIVERED NEXT DAY!